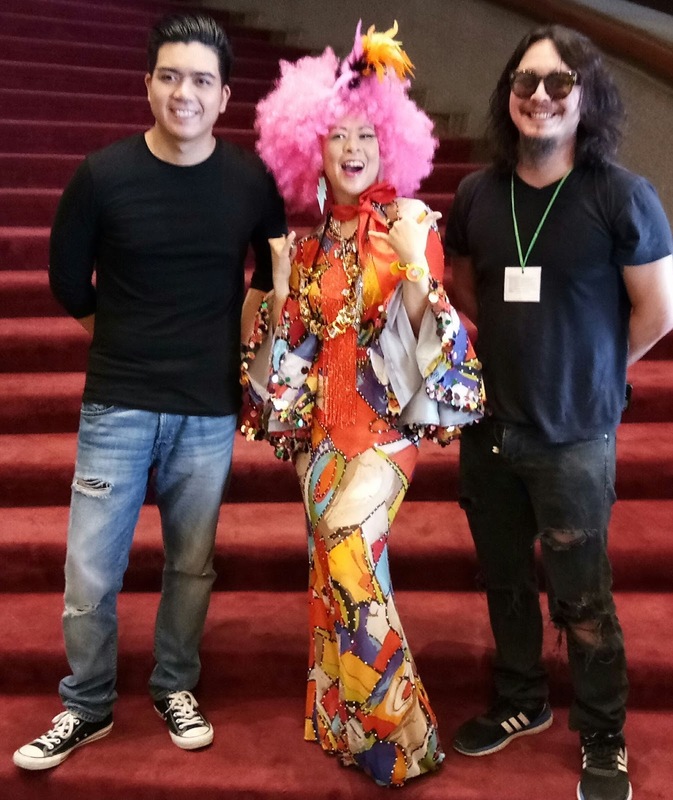 Tanghalang Pilipino officially launched " Aurelio Sedisyoso, " an original rock sarswela, the first piece for its 31st Theater Season, a sequel to the steampunk musical " Mabining Mandirigma. " 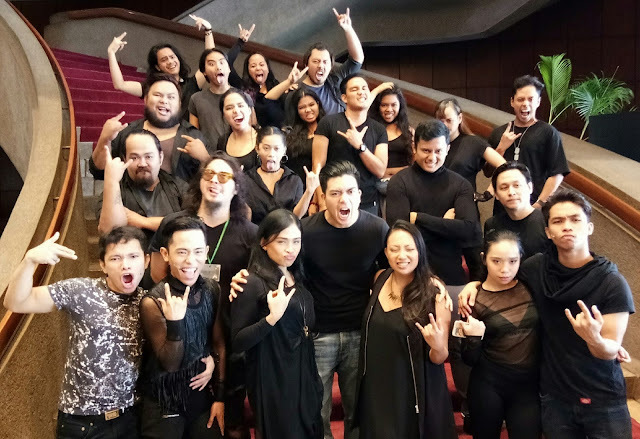 With book and lyrics by Nicanor Tiongson, music by Joed Balsamo and direction by Chris Millado, it play act the conflicts between the Philippines and the United States in the period between 1902 and 1907, that framed the third phase of the revolution. It also focuses the last chapter in the life of Aurelio V. Tolentino from 1908 to 1915. The Cast of Aurelio Sedisyoso. Cast: David Ezra (Aurelio Tolentino), Baron Geisler (Tikbalang/Amerikano), Remus Villanueva (Sakay/Bonifacio), Hazel Maranan (Saling), Kakki Teodoro (Naty), Norby David (Manuel Quezon), Paw Castillo (Didoy), Phil Palmos (Crising), Sasa Cabalquinto (Hunyango), Ali Santos (Carreon), Jasper Cabra (Montalan), Alfritz Blanche (Lope K. Santos), Jonathan Tadioan (Dominador Gomez), JV Ibesate (Tikbalang Understudy), Aldo Vencilao (Dodong), Blanche Buhia (Diday) and Eunice Pacia (Liwayway). Koro: Aika Zabala, Jing Reyna-Jorge, Sigrid Balbas, Raflesia Bravo, Tope Kliatchko, Lian Silverio, Monique Nellas and Joshua Tayco. David Ezra, Tessa Prieto-Valdez and Baron Giesler. Aside from the sarswelistas and sarswelistos, also present during the launch are Arsenio Lizaso, CCP President and Tessa Prieto - Valdez, Board Of Director. Liesl Batucan, Tanghalang Pilipino Associate Artistic Director facilitated the question and answer, who later did the closing remark. Aurelio Sedisyoso is playing at the CCP Little Theater Tanghalang Aurelio Tolentino from 1st to 17th of September 2017. For ticket inquiries call CCP Box Office at 832-1125 or TicketWorld at 891-9999. Ticket Prices: Orchestra Center - 1,500 and Orchestra Sides - 1,000. 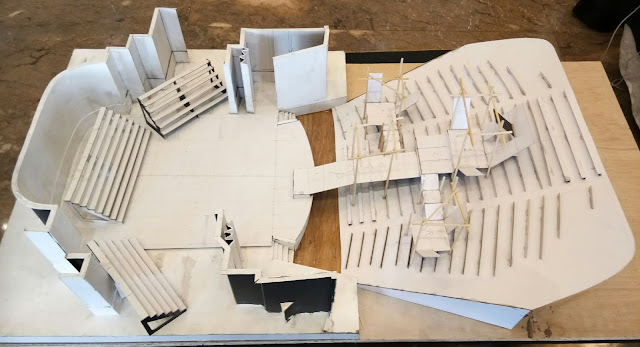 The actual stage platform of Aurelio Sedisyoso.